This is a very substantial basket as you can see. 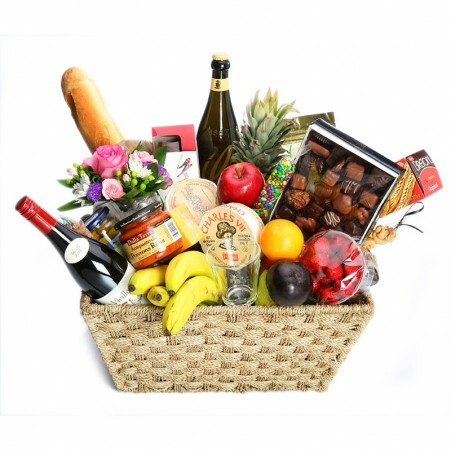 8 items Fruits, cheese, belgian chocolates box red wine, libby's corn beef Tulip ham can mix flowers . This basket can be modified. In the comment/greeting section in checkout give us your request and we will adjust the basket to suite as best we can.